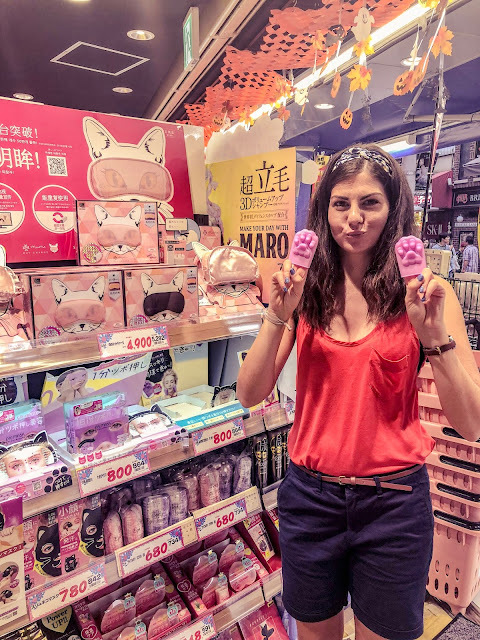 Japan is the most weird and wonderful place I have visited and I've got to say that Tokyo definitely tops the rest of the country for bonkers behaviour. Guys, these things have to be seen in real life to be believed. 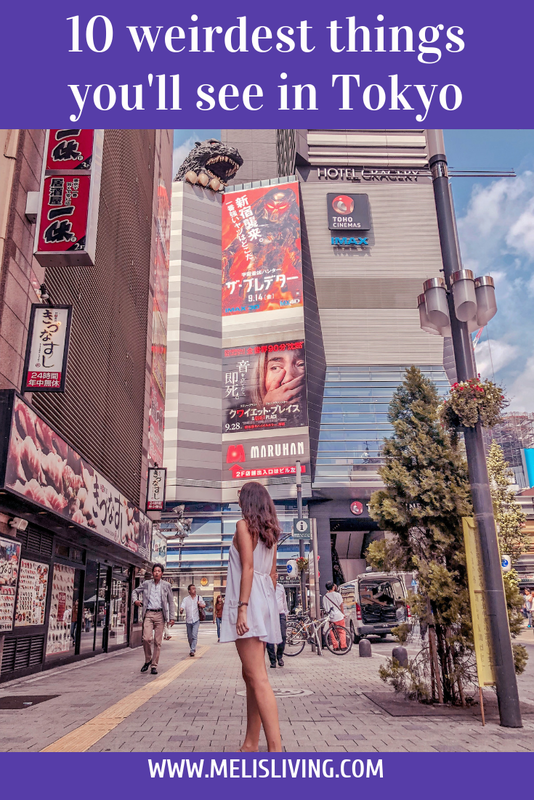 In no particular order, here are the 10 weirdest things you will see in Tokyo! This made me laugh so many times in Japan. They seem to be obsessed with silly hats for their cats and they are available all over the place. 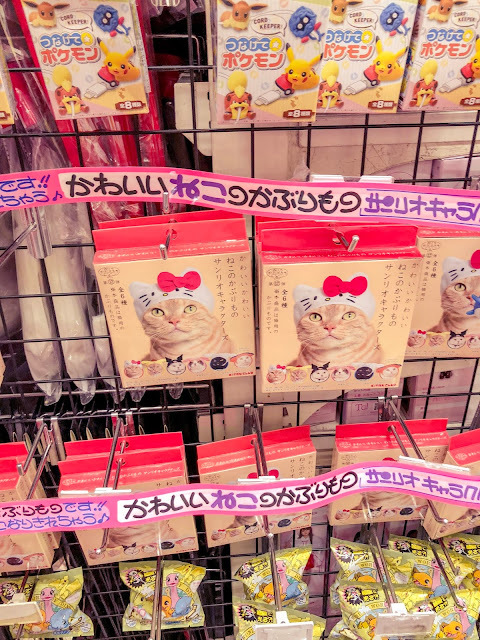 We saw them in vending machines, in the train station, in a games arcade and of course in Don Quijote, the shop in Japan that sells EVERYTHING. Be warned that your cat hat box might not represent exactly what is inside. We got the Hello Kitty one pictured below for a family member's cat and the hat was actually plain red. Check those cat hats guys, it's important that your cat gets exactly what it's expecting! Vending machines seem to be a huge thing in Tokyo and you will see them all over. Make sure you glance when you pass any to see what's inside: guaranteed to be some of the weirdest things you will see in Tokyo! The Japanese seem to absolutely love their skincare. Nearly every shop sold it and the variety was just ridiculous. The funniest item I saw was these tiny kitty mittens to use for rubbing in your face mask. Absolutely classic and I wish I'd brought some home for the lols! I got loads of different face masks which are fun to try. However, with all of the instructions and ingredients being in Japanese I am a bit nervous I burn my skin off or something. I'm all good so far and who doesn't love a Sunday skincare lottery eh! I lost count of how many different, random, animal-themed cafes we saw. We didn't venture into any of them. I am sure that some treat their animals fairly but I just wasn't sure enough to give them a go! We saw tonnes of cat cafes (with questionable pet shops in their entrances), owl cafes, hedgehog cafes, snake cafes (ugh) and more. The weirdest thing about this for me is that they clearly love their animals and you see so many well loved pets on the streets but then the cafes and pet shops just don't seem so kind unfortunately. The only oddly themed cafe we went into was the Kawaii Monster Cafe. It was quite amusing as the place is decked out in sickly, sweet themed decor and the staff are dressed in bright and colourful outfits to match. However, their attitude is anything but sweet and bright. They all seemed royally ticked off and the service was that slow we nearly left. I wouldn't bother going if I were you and I now kinda regret not checking out that owl cafe. To see what the monster cafe is like inside, check out my Japan Instagram story highlights. We felt spoilt for choice when it came to choosing a quirky hotel to spend the night. 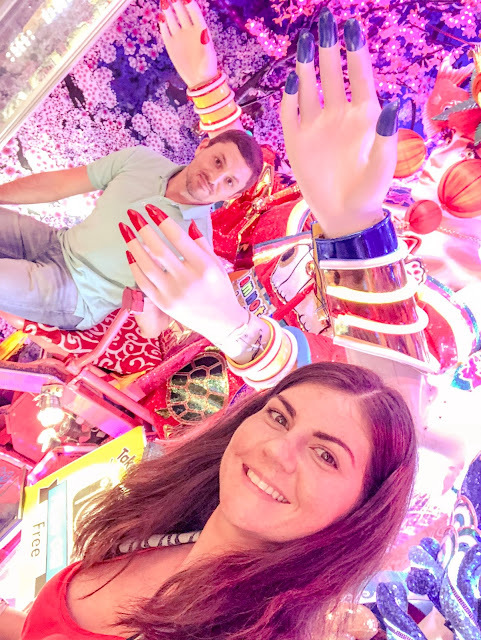 From the Hello Kitty themed rooms at Keio Plaza Hotel to the Robot Hotel (yes you are literally checked in by robots).... there are so many options in Tokyo, whatever your interest. I am a huge book lover, so couldn't pass up the chance to spend the night in an actual bookshelf! 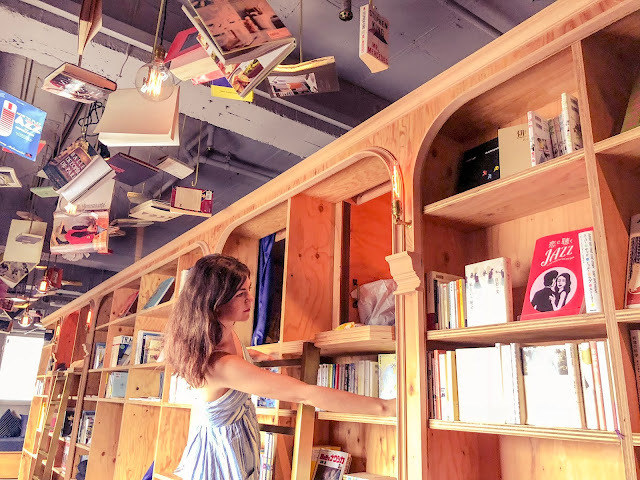 We had an amazing night at Book and Bed Kyoto but they have two hotels in Tokyo as well. Check back for my full review coming soon, if you like the sound of this literature-lover's dream. If we go back (I mean when), I will 100% be staying at the Gracery hotel. It has got this amazing Godzilla statue attached to it and gets epic reviews. We stayed just round the corner in the APA Shinjuku which I would also highly recommend, despite the room being mouse-sized. Room sizes in Japan are absolutely tiny so check this point when you book your hotel! My other half loves games and whilst in Shinjuku we had to check out the largest virtual reality centre in Japan, VR Zone. 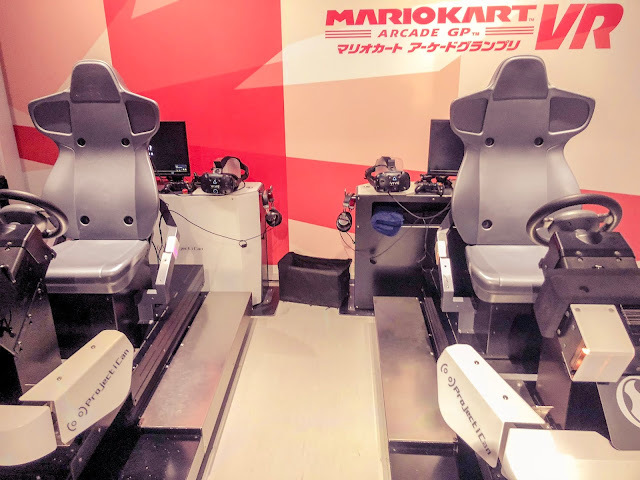 We played virtual reality Mario Kart and it was so incredible! They have so many different games to try. You just buy however many tickets you want on entry and choose which games you fancy once inside. I recommend it so much and guarantee you won't be able to get a VR experience that good at home. It wasn't so weird in isolation but some of the games were very different, like the zombie hospital you had to escape from in a horror game. 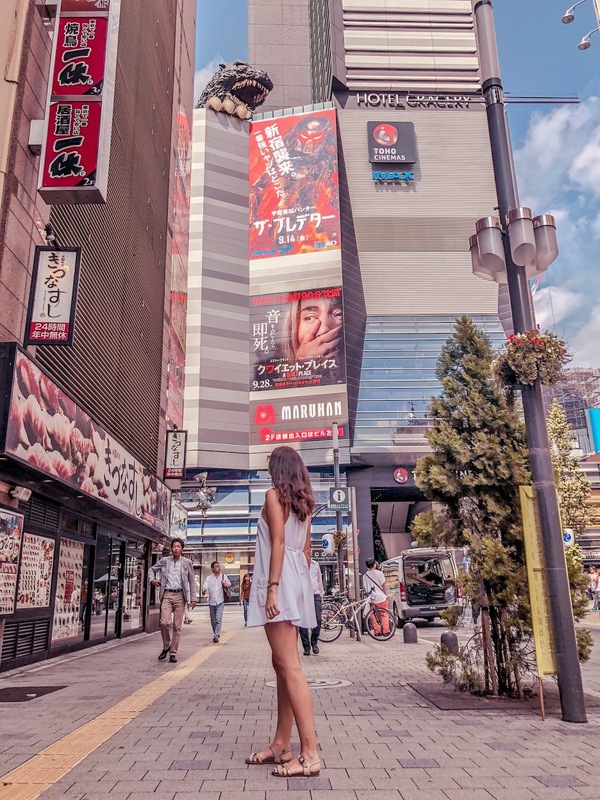 We spent an afternoon here as it is the home of otaku (anime and manga) and we thought it would be an unusual place to explore. It was really interesting but full of weird things and I found it quite seedy to be honest. 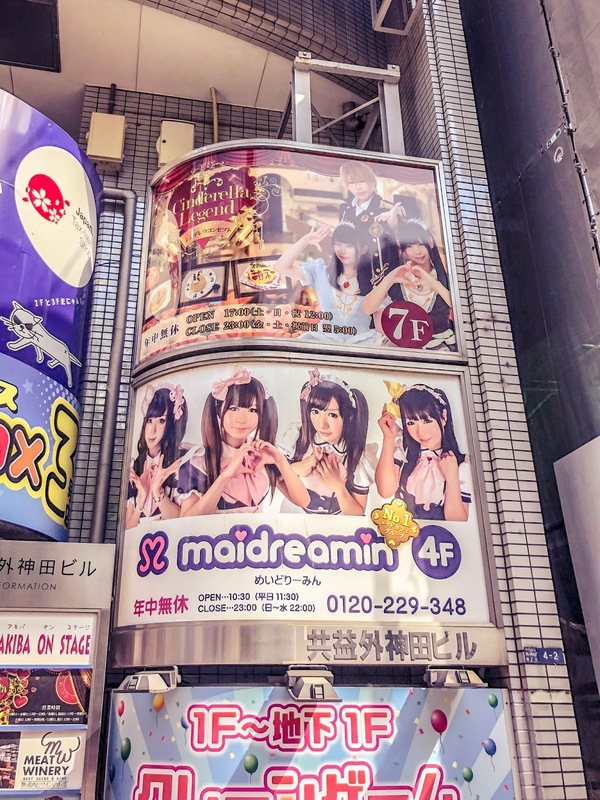 Akihabara has loads of maid cafes if that's your bag. You might have heard of these places where young girls dress up as maids and call their customers 'master'. I did read that they are more touristy than sleazy but I didn't stick around the area long enough to find out. There are numerous shops selling doll parts so you can make your own. We went to a huge electronics store called Yodobashi that sold everything and another called Mandarake which has a huge, 8-floor, collection of anime goods. I got seriously freaked out at some of the questionable adult material here and we soon did a runner! This is a very strange area... definitely tops the list for the weirdest area I saw in the whole of Japan. I vividly remember the Gwen Stefani song being out when I was about 18 and at the time I didn't have a clue what she was on about. 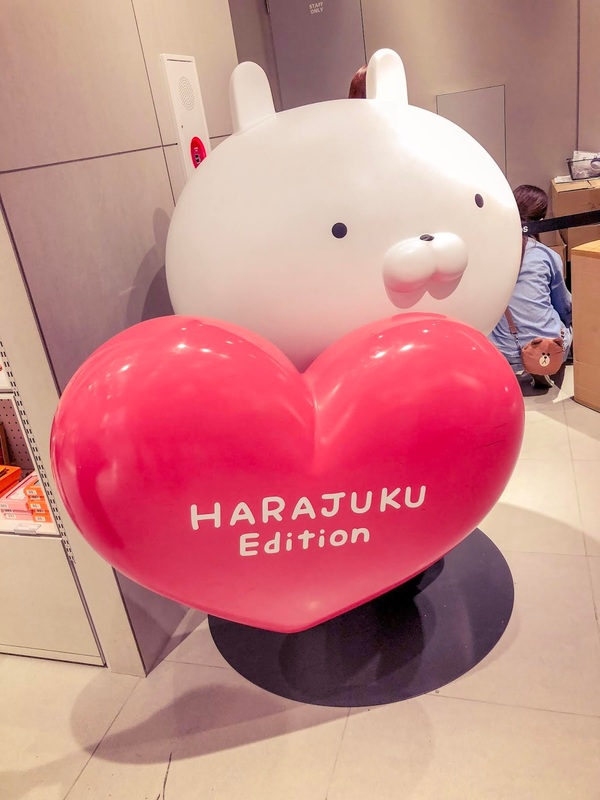 It's only now I have been to Harajuku, an area of Tokyo, that I get it! Wow. This place is 'girl world' on acid. It's mostly pink with sweet shops of every variety. There are shops that sell laminated pictures of boybands and boutiques selling clothes that just look like a school uniform which seems to be the fashion. 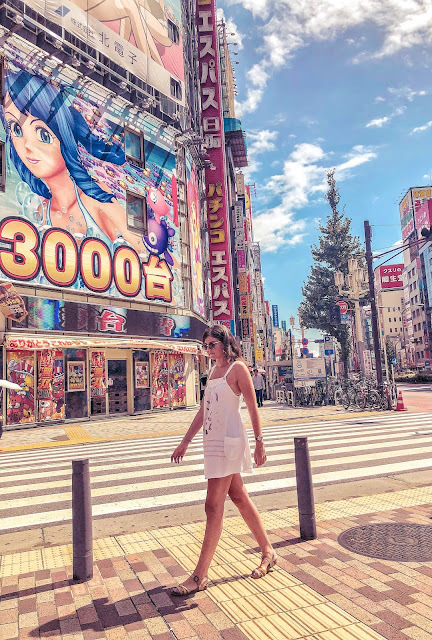 This place is a total must-see in Tokyo and I adored it! I was unsure whether to go to this place as it looked so silly. After much consideration we decided it was worth it for an evening activity and would be probably unlike anything else we had ever tried. Well, yeah. It is utterly bonkers and probably tops the list for the weirdest thing you will see in Tokyo, or the whole of Japan. It's a colourful, crazy, energetic show that doesn't make much sense. I don't regret going but did find it daft at times! My biggest piece of advice, if you drink, is to have a few before you go in as it will definitely enhance your experience. I got smashed on cheap sparkling sake and had a really fun night in the end. Ah, my favourite topic. The food in Japan was everything we expected and more. In Tokyo we stumbled across absolute foodie heaven at the Food Show basement food court at Shibuya train station. It had the weirdest but best mix of food I have ever seen. I literally can't do this place justice with words or photos but it's one of the best things I have ever seen in my life. Just go! Please! I hope you have enjoyed this little taster of the weirdest things you will see in Tokyo, Japan. Please share this post using the buttons below so more people can be inspired to visit this weird and wonderful place! Japan is definitely on my bucket list! Those cat hats are hilarious and I'd definitely go to the robot cafe! Thanks, I am glad you enjoyed reading. Those hats cracked me up every time, it literally feels like a different (but amazing) world over there. japan is certainly on my bucket list. great post with such fun bits. i'd love to have seen photos of the hello kitty hotel rooms? I am glad you liked it! I didn't get to visit the hotel with Hello Kitty rooms, as much as I'd have loved to. 100% a reason to go back! Ohh wow, I had seen on the TV about robot restaurant. Glad that you had visited and wrote about it. Thanks, I'm glad you enjoyed reading! I have never visited your blog yet: I LOVE it!! Your pictures are beautiful, and I just love the design. I equally love your colors. Japan is on my bucket list for the next two years. I want to see the cherry blossoms, visit a cat cafe, eat amazing noodles and food, and find Hello Kitty. Thanks so much! I love your blog, it's so varied and beautifully written. Japan is just so cool, it wasn't really on my list but my other half wanted to go. It so should have been on my list! Turns out, it's probably my favourite place I have ever visited. I love all of this!! It looks like you had so much fun and now I want to go and have fun!